I really enjoyed my morning yesterday. I was up around 6:30. I don’t have to leave my house until about 8:10, so it was nice to just blog, read blogs, put my food together, shower and not feel like I was rushed. My problem lately? I’ve been staying up until 11:30 or later! I am too old for that so for my exciting new plan starting Saturday for the month of April (to be announced on Saturday April 1!) my plan is to get to bed no later than 10:30. So one thing I noticed is that I can toggle between the tracking points and the Simply Filling plan on WW. At the end of last night I had 28 flex points remaining for the week and when I switched the eTools back to tracking points, my flex points stayed at 28 – I wasn’t sure how that would work out! 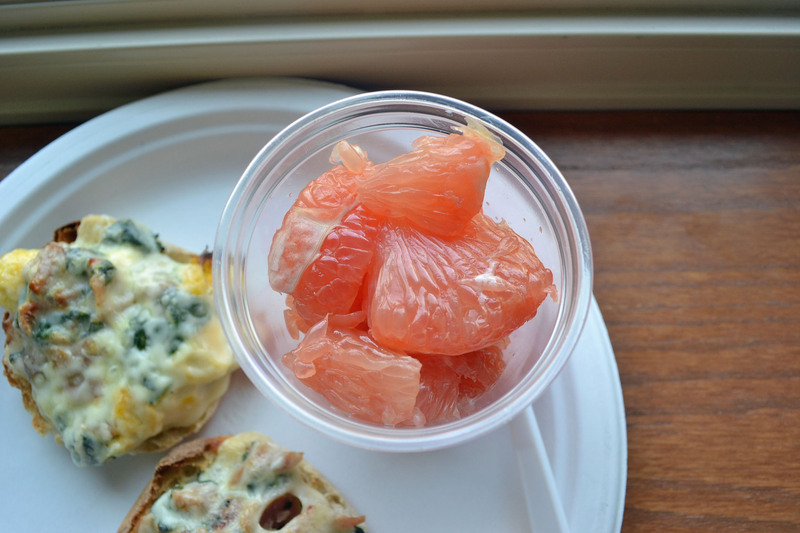 I ended up having two open face english muffin sandwiches with a grapefruit on the side – the fruit was from my PIL for my birthday – nothing like having Florida citrus! Breakfast comes in at 7 points. 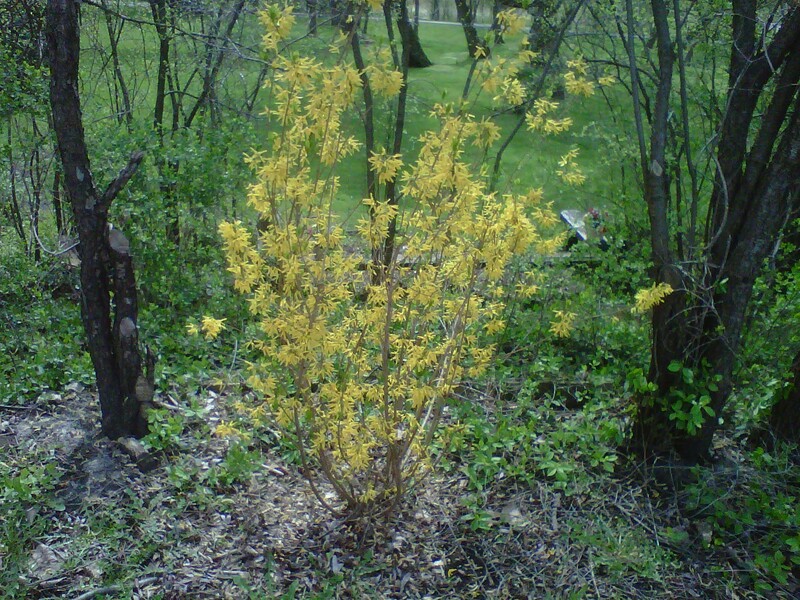 I couldn’t wait to get outside yesterday – perfect – sunny and 50 degrees, although it was pretty windy! 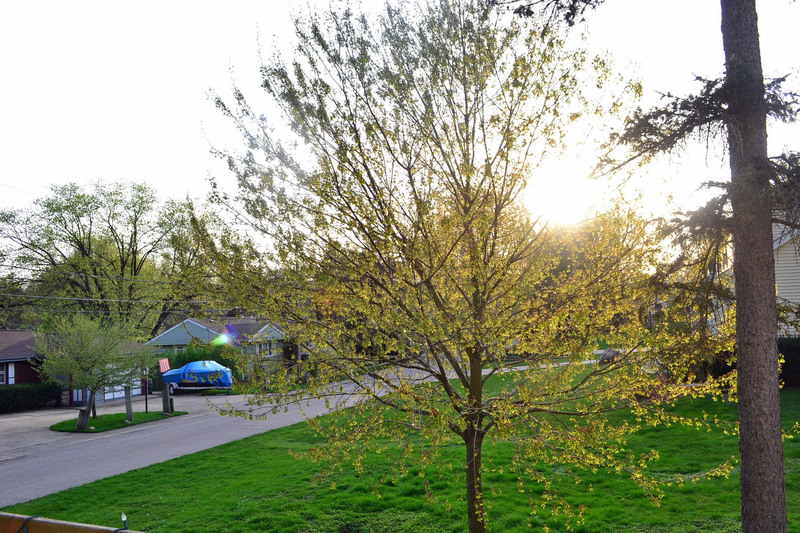 Not that I didn’t mind the temps in the 80’s but I much prefer those temps in July and August, not March. 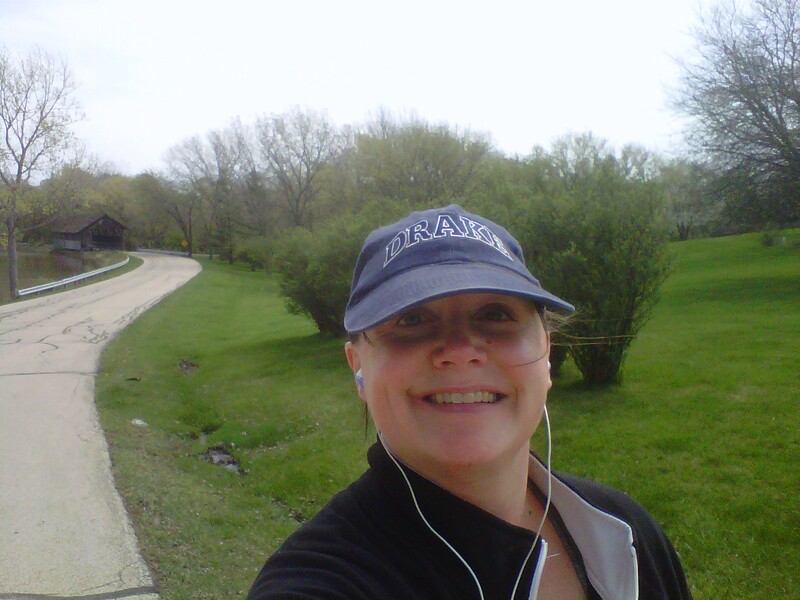 I ended up walking mostly (because my blood sugar was 160) with some sprints in between. I mapped it when I got back and was happy to see I went 4.25 miles in 55 minutes. Nice! 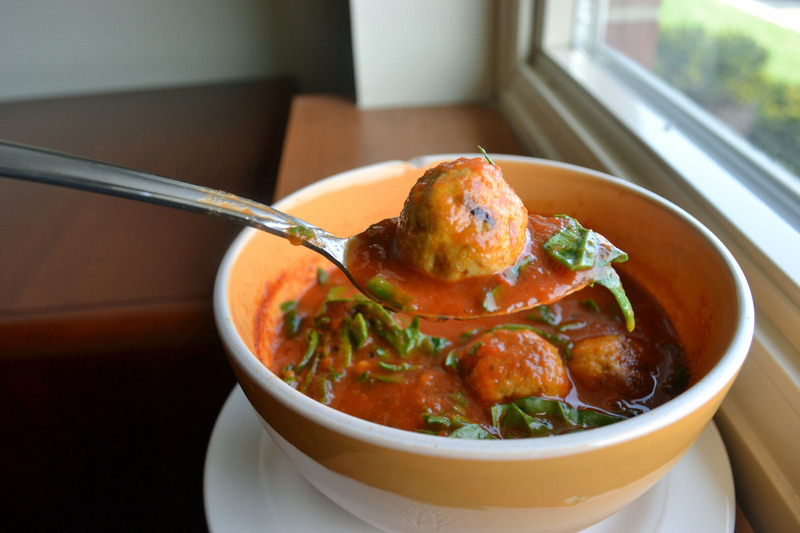 I ended up having leftover spicy tomato soup with balls, but added a cup of chopped baby spinach the last two minutes of heating it up – this is such a filling soup! Lunch comes in at 8 points. 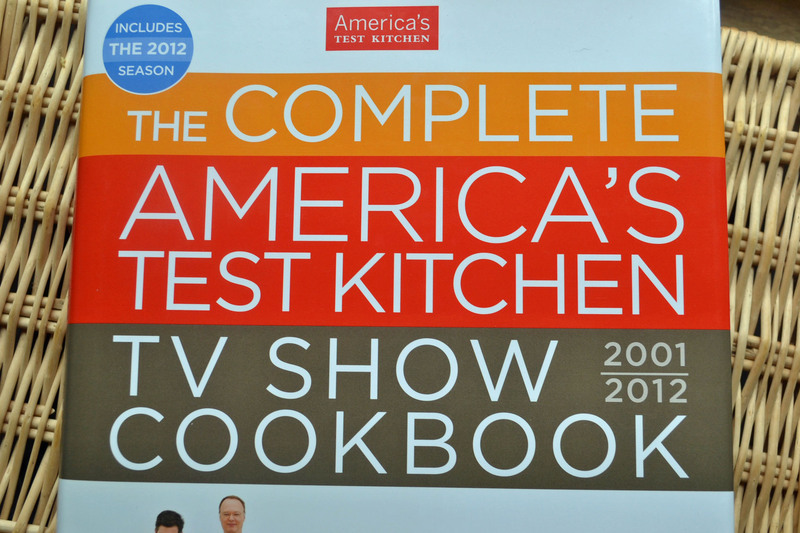 One of the birthday gifts Hannah gave me was America’s Test Kitchen COMPLETE COOKBOOK! I didn’t even know this book existed, but it basically has every recipe from 2001 to 2012 – its 790 pages! And because I read a cookbook like a book, the first recipe that caught my eye was on page 24. 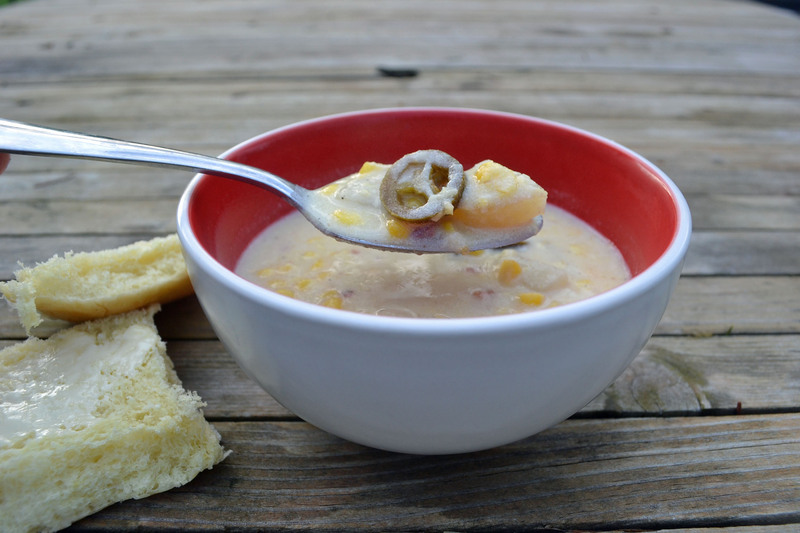 Lighter Corn Chowder. I made it even lighter by reducing the butter to 1 tablespoon instead of 3, and of course, left out the onions! 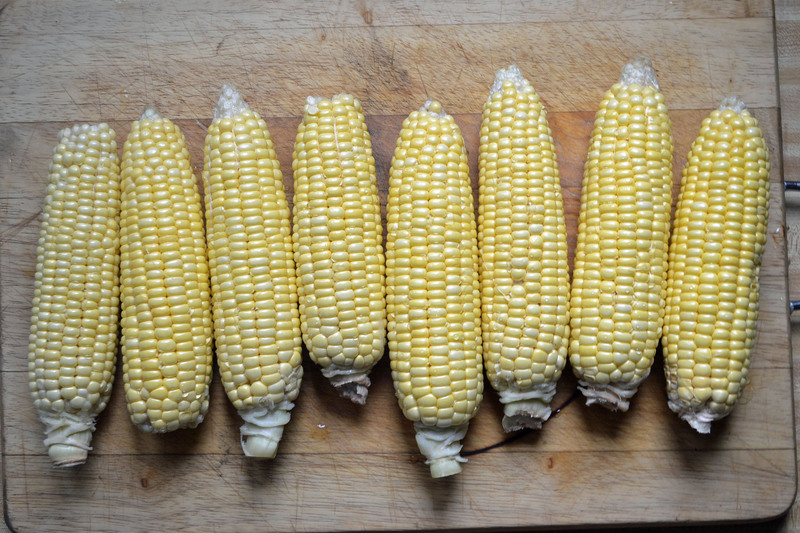 I wasn’t even sure I’d be able to find corn on the cob in March, but my store had it on sale – 8 ears for $1.98! 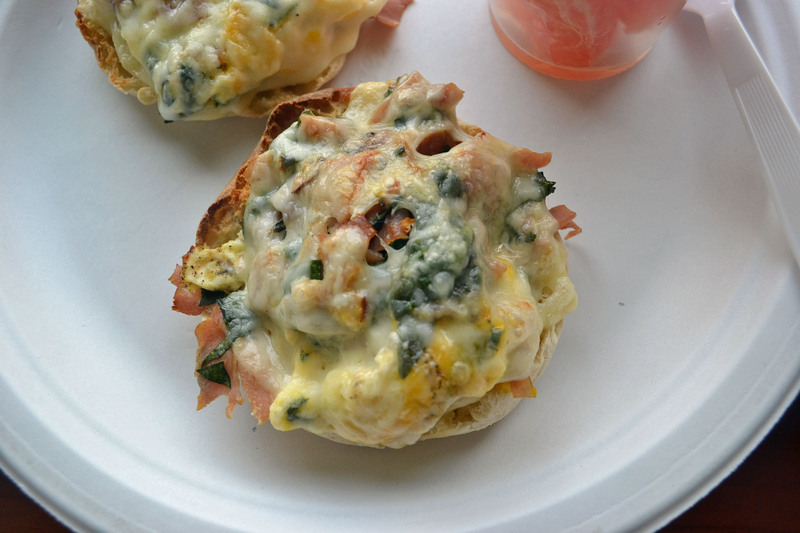 2.8 points if you are following Simply Filling; 6 WW points, or 225 calories, 5.3 fat, 39 carbs, 5 fiber and 7 protein for a 1 1/4 cup serving. Using a sharp knife (careful!) cut the kernels from the ears of corn; transfer to a bowl. (I got exactly 5 cups of kernels). Now holding the cob in another bowl, carefully scrape down the sides of the ear of corn, getting the corn milk from the cob. The original recipe said to strain that mixture in cheese cloth, but I am lazy and just left it as it was. Melt the butter in a Dutch oven over medium heat. Add bacon (okay add onion here if you want), salt and pepper (about 1/2 a teaspoon each – or to taste). Cook for a few minutes, then add flour and cook for 2 minutes. While stirring constantly, gradually whisk in the water and bring to a boil. Add the corn kernals, and potatoes. Reduce to simmer and cook until potatoes are softened – about 15-20 minutes. Transfer 2 cups of the chowder to a blender and puree until smooth – about 2 minutes. Return the puree to the pot, stir in the half and half and the reserved corn juice (milk) whatever its called. Season with salt, pepper and sprinkle with chopped basil if desired. 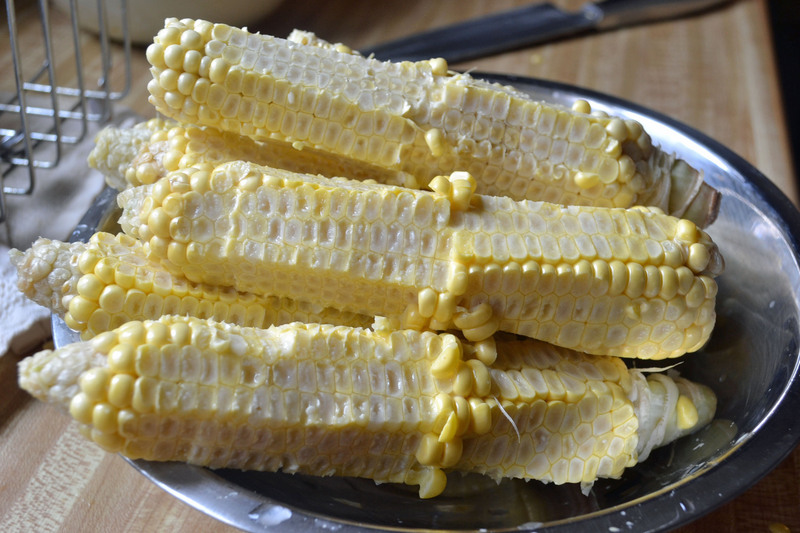 After you cut off all the corn from the cob, there is still so much flavor left – who knew? 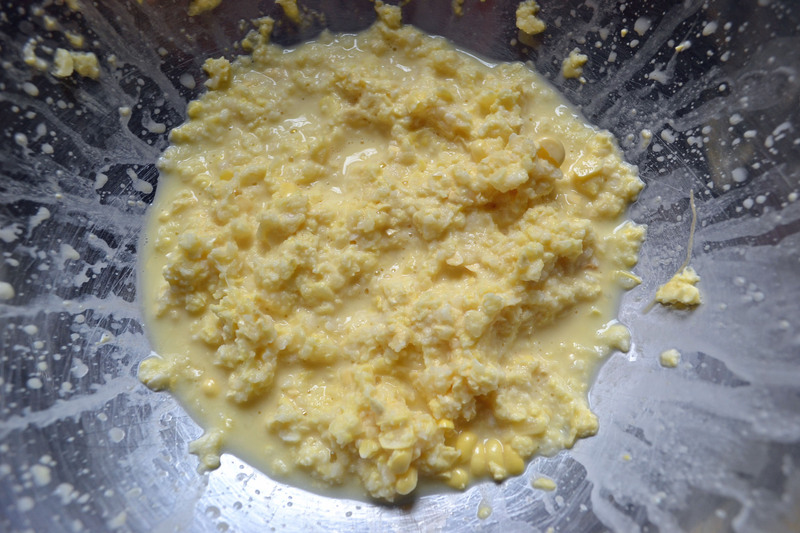 And after you scrape the cobs into a bowl, this is what it looks like – you can see why I didn’t want to strain it, and that it kinda looks like scrambled eggs! I may have added some pickled jalapenos to my bowl I had over the weekend! It was still in the 70’s when I was grilling. 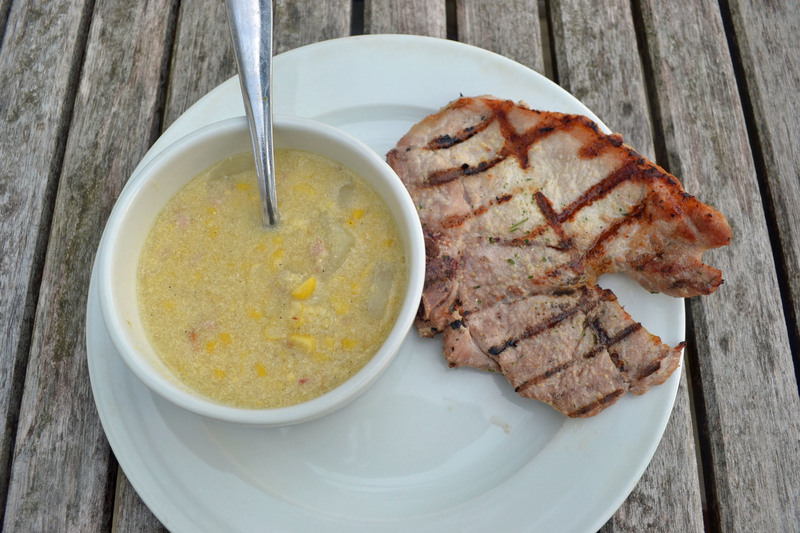 So my skinny pork chop and soup came in at 11 points. 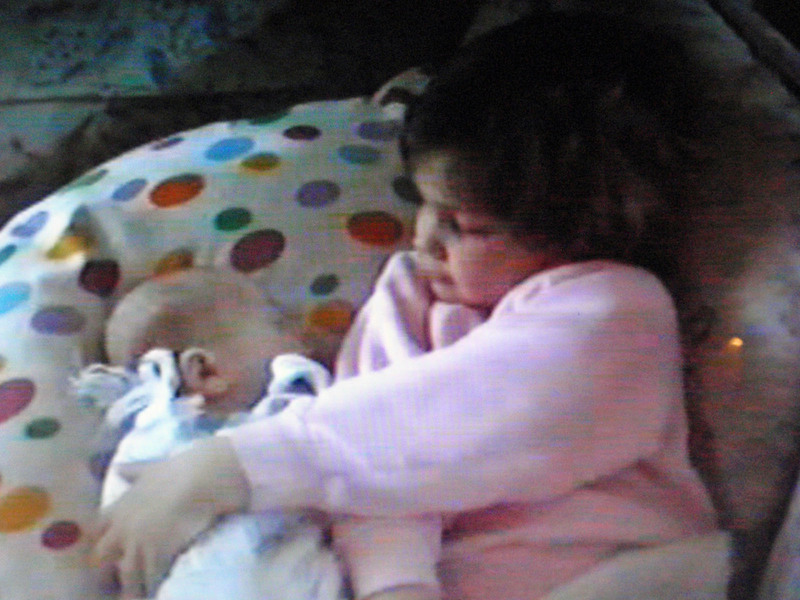 After dinner Hannah and I watched an old VHS tape that my Mom put on DVD. My sister recently found it and it was a tape that took that had Hannah’s 4th birthday on it and my nephew Paul’s first video after he was born. It was weird to hear my Dad’s voice and see his face – he died when Hannah was six. 😦 I am so thankful I lived with my parents for five years because Hannah has the best memories of Poppy out of all the grandkids. 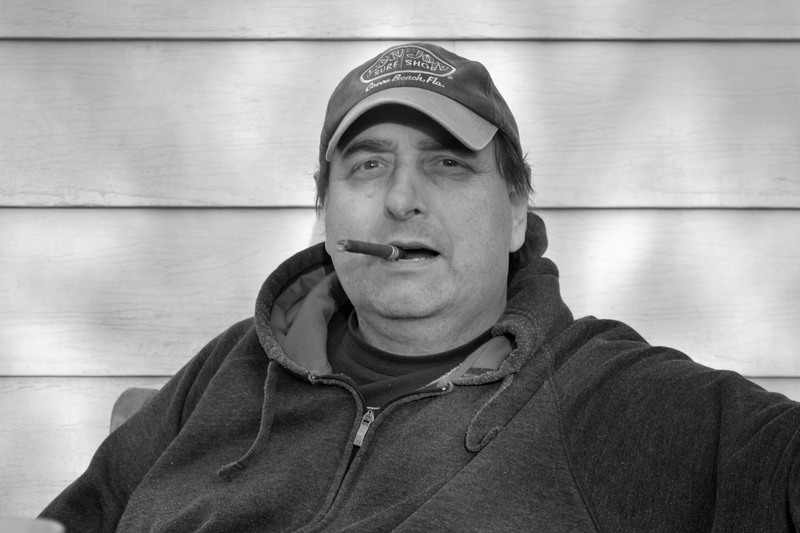 You can read about my Dad here. I took this picture off the computer because not only is it cute because Hannah has Paul wrapped up in her favorite blanket (aka the “stinky” blanket because she never wanted me to wash it). She also has her polk-a-dot pillow case that was the first bed linens she had once moving from a crib to a twin bed. Um, for the record, sixteen years later, Hannah has the stinky blanket still on her bed (my Mom made it into a pillow) and she still uses that pillowcase.